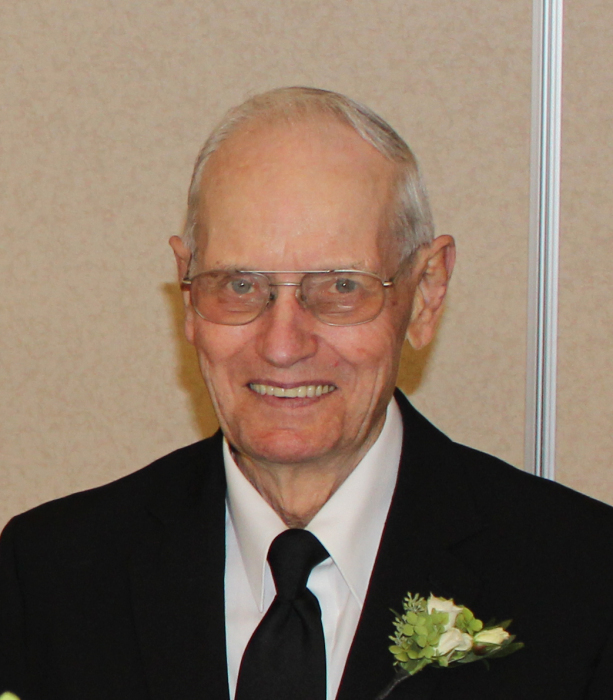 ROCK VALLEY, IOWA – George H. Rus, 93, of Rock Valley, died on Friday, April 5, 2019 at the Hegg Health Center in Rock Valley. Funeral Service will be 10:30 a.m. Tuesday, April 9, 2019 at the Netherlands Reformed Congregation in Rock Valley with Rev. J.J. Witvoet officiating. Burial will follow in the Valley View Cemetery. Visitation with the family present will be from 5:00 p.m. to 7:00 p.m. Monday at the Porter Funeral Home in Rock Valley. Condolences may be sent to www.porterfuneralhomes.com. The family prefers memorials be directed to Hegg Home Health or Sioux Center Hospice. George H. Rus was born September 19, 1925 near Corsica, South Dakota, the son of Jacob and Fannie (Zomer) Rus. He married Jennie Van Veldhuizen on December 8, 1948 in Rock Valley, Iowa. After 8 years of marriage, a daughter Clarice, was born on George’s birthday. George and Jennie farmed near Corsica for 43 years, and then moved to Rock Valley in 1991. Jennie died on July 27, 2015. George enjoyed going to auctions, farming, and sold DeKalb seed corn for many years. He loved his family, and cared deeply for his family, the grandchildren and great-grandchildren. His first great-great-grandchild, Makena, the daughter of Briton and Dani, was born on Thursday, April the 4th, a day before George passed away. Survivors include his daughter, Clarice Elshout and her husband, Rev. Bartel of Inwood, Iowa; 4 grandchildren, David and Sandra Hoogendoorn and their children Morgan, Maria, Abigail and Anne; Terry and Tami Van Beek and their children Briton and wife Dani, Jordon, Stefan, Kerrigan, and Brooklyn; Troy and Abbey Van Beek and their children Micah, Karsen, and Taysen all of Inwood, Iowa; and Joshua and Shonna De Jager and their child Lux of Doon, Iowa; brothers, Cornie Rus and Marvin and Clazina Rus all of Sioux Center, Iowa. George was preceded in death by his parents; step-mother, Jennie; wife Jennie; son-in-law, Gerald Van Beek; great-grandson, Collin Van Beek; sister, Josie Van Roekel; and an infant brother.